With speakers from Coca-Cola, Church & Dwight and Sainsbury’s, discussions around responsible plastic use in packaging closed the main stage sessions at London Olympia on Wednesday (12 September), while a ‘materials showdown’ on Thursday (13 Sept) saw a number of contestants fight the case for their own preferred alternative to plastics. Showdown judge Sian Sutherland was on hand to assess the advantages and drawbacks of a number of materials while also representing her own campaigning organisation A Plastic Planet, which was exhibiting on the show floor. “Our campaign is not about being packaging-free, but about being plastic-free,” she said. “I have spoken to a lot of packaging people at the show and hear a lot of different questions and excuses such as less plastic leading to more food waste, but both food waste and plastic use have doubled in recent years. “Generally, there has been a lot of enthusiasm. People are seeing the need for change. We now want to accelerate the pace of that change by talking to the big guys in the brands and supermarkets and getting our ‘plastic free’ stamp on their packaging. A Plastic Planet’s own exhibition space was used to showcase an example of its plastic-free aisle concept — first debuted in the Amsterdam branch of Dutch supermarket chain Ekoplaza in February and since rolled out to all 74 of the chain’s stores. The showcase at Packaging Innovations 2018 presented a number of products in plastic-free packaging made of alternative materials, all officially stamped with A Plastic Planet’s distinct seal of approval. According to Sutherland, up to 90 big-name brands are now applying for this certification on their own packaging and the group said it was working with all major UK supermarket chains. Sustainability was also the focus for the Alexir Partnership, which used the show to debut the new ovenable version of its board-based Halopack food containers. Account manager Jacob Cook said: “This is the first product of its kind in the market — a bespoke product, printed, cut, creased and delivered by Alexir. It has been in the works for around three and a half years and is now ready to be released to the masses. Further show debuts came from Antalis, which unveiled its “reignited” Keaykolour palette of luxury paper colours with an additional 48 colours derived from an extensive analysis of current trends and fashion. The new push is a bid by the paper merchant to be a “serious player” in the market. Creative papers director Robert Mannix said: “We have invested heavily in this expanded range, it is a very big moment for us. We have also been showing off our embossed patterns services that work well with the new colours to give them extra personality. Meanwhile, Workflowz used the show to debut the latest version of the iC3D 3D packaging design software from Creative Edge to visitors. Workflowz managing director Alan Dixon said: “We are presenting a couple of enhancements that improve the quality of mock-ups and simplify the process including an expanded materials library and greater interactivity. Reflecting on the show, Easyfairs divisional director James Drake-Brockman said: “It’s been a record-breaking year. At a time when the industry is under more scrutiny than ever before, it has been great to see everyone pull together to see how and where our sector can improve. 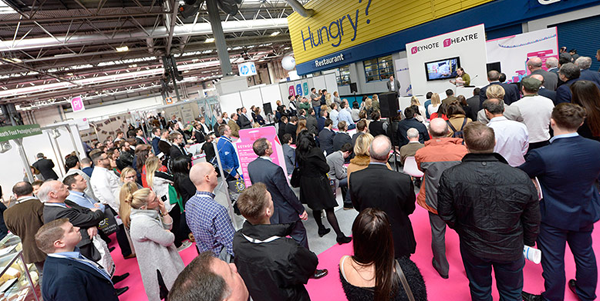 Packaging Innovations will once again run its headline show at the Birmingham NEC next year on 27-28 February, followed by a London show later in the year.